Also available in Fresh Mint. Get the extra confidence you’re looking for. 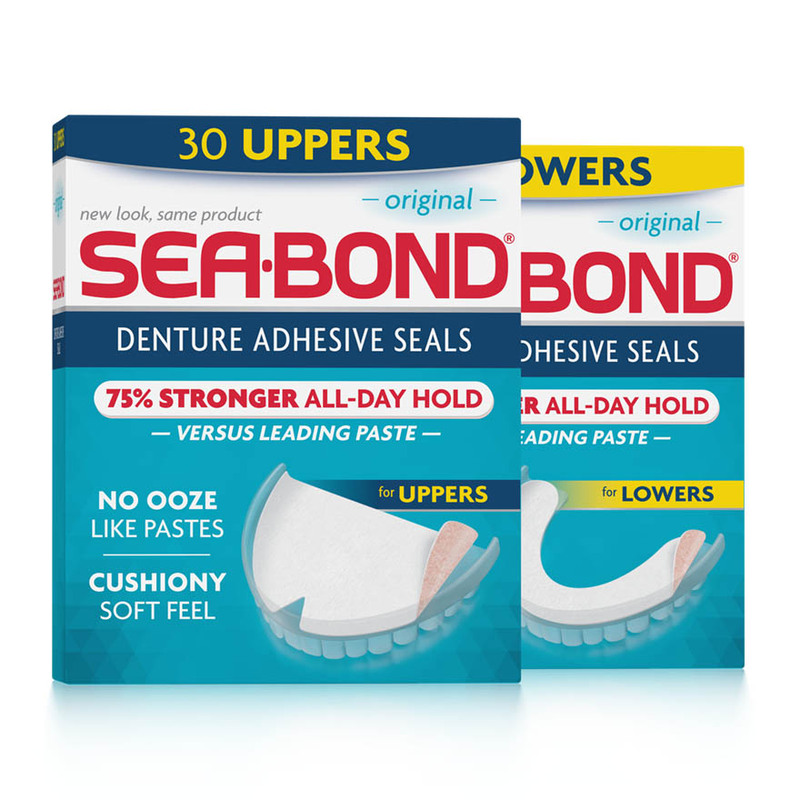 Sea Bond Denture Adhesive works differently. The cushiony, soft seal gives you all day hold without the ooze and mess of denture pastes. And it’s zinc-free. Now you can wear your dentures comfortably all day and still feel like yourself. ONE SEAL LASTS ALL DAY. NO NEED TO REAPPLY. EASY, NO-MESS CLEANUP.